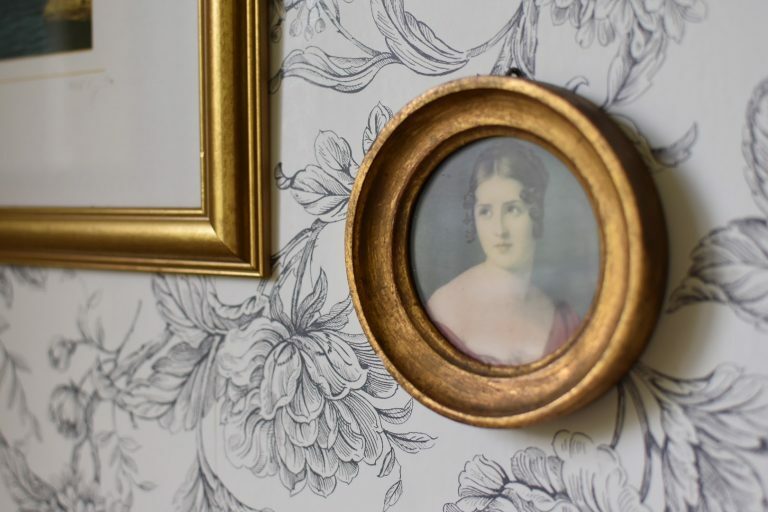 Bathrooms aren’t generally the first place you think of when you think of wallpaper, are they? Bathroom images, whether in our mind’s eye or on the pages of a magazine – or more likely on Pinterest on our phone screens – are usually sleek and tiled. Often though, and especially in older houses, wall tiles can appear too modern for the house. 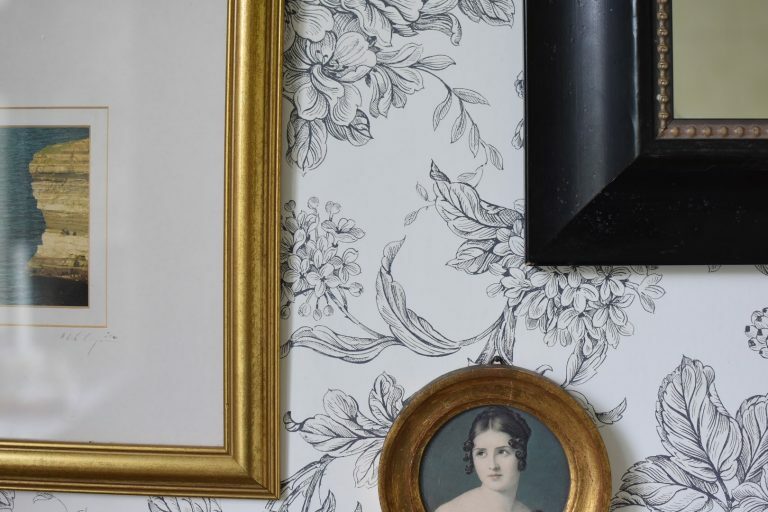 My mother recently gave her dated bathroom a face lift by having three of the four walls papered in a beautiful, romantic black and white floral pattern. 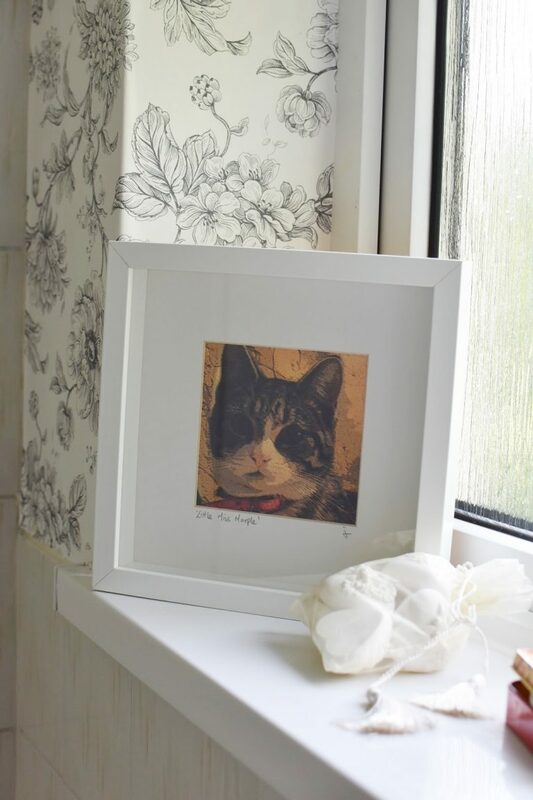 Using mirrors, framed prints and paintings she already had, she was able to give the previously turquoise bathroom a fresh look with a low budget. All other fittings and the cream tiling in the shower area were kept as they has been. Even in modern houses wallpaper in a classic design can be teamed with vintage or timeless new fittings to give an older feel. While obviously not suitable for the shower area, wallpaper is a good choice for bathrooms you want to give a less clinical feel to. Downstairs loos, guest bathroom and bathrooms with a bath rather than a shower can look classically stylish with wallpapered walls. A bathroom with a claw-footed roll top bath set away from the wall works ideally with wallpapered walls. With a black and white design such as the one shown here in a bathroom I saw recently, both gold and silver look well against it. 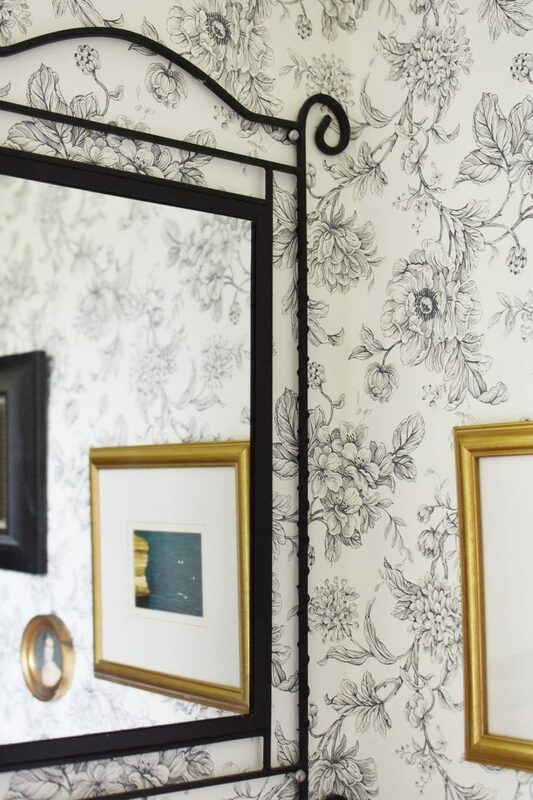 Paired with mirrors, always useful in a bathroom, and paintings, a wallpapered bathroom takes on more of a room look and less of a functional look. Add in some scented candles and pretty soaps and you have a real feeling of luxury when you settle into a bubble bath in a bathroom like this. How do you feel about wallpapered bathrooms? I absolutely love the black on cream, elegant and not too girly. How will it withstand the steam? 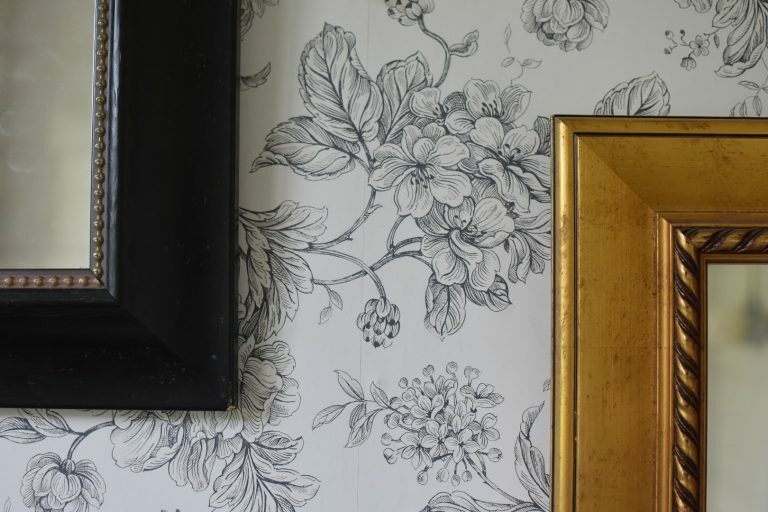 I can’t picture Husband in a wallpapered bathroom – that paper would be peeling in weeks. 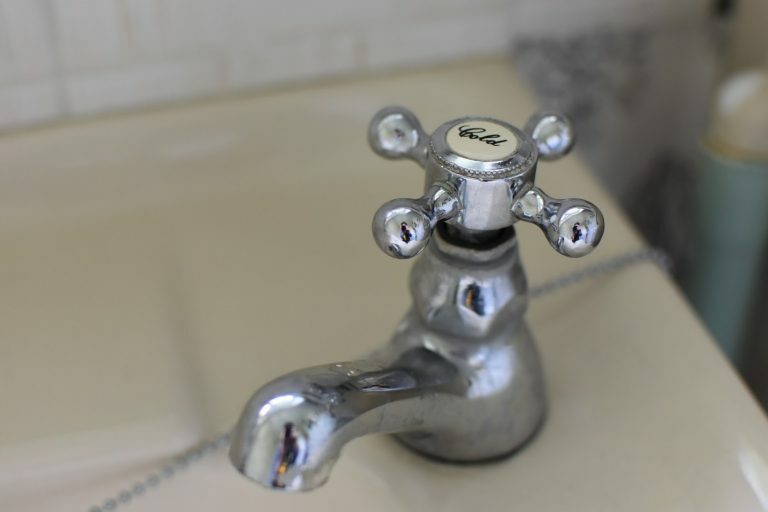 To be honest the bathrooms I’ve experienced with wallpaper have been with baths and occasional showers rather than the full-blown steam room showers several times a day. There are hard-wearing, more moisture resistant bathroom wallpapers on the market though. Oh that makes sense. Yeah, I’m thinking of upgrading our extraction system – we need it! I hadn’t thought about this as an option. About to embark on updating our bathrooms so this was perfectly timed! Lovely, isn’t it? I really like the look too. That would be fab. I think a guest loo is the ideal spot for a great wallpaper.